You may remember these studies from Amazing Spider-Man #577. I had previously posted a selection of them, but never the entire collection together. 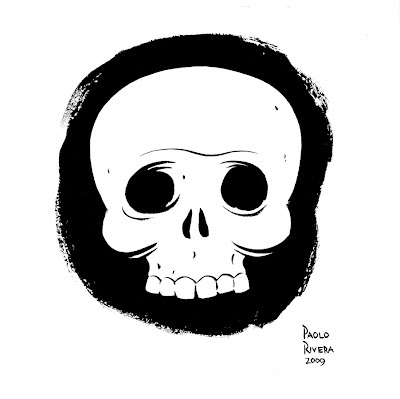 The purpose was to find my natural inking style, so I just let myself go. What resulted was a new style that is probably more "me" than my painted work — something that my friends were all quick to point out. That issue also changed the way I work in another sense. In my painted work, every page is carefully planned with preliminary sketches and color studies. I began this project in the same way, but realized quickly that I could get away with less preparatory work. 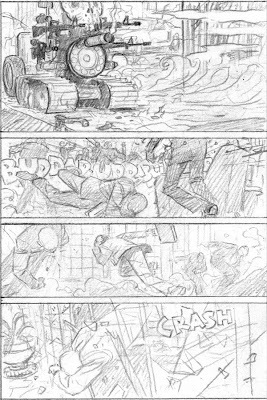 Pictured here are the only layouts I did for the issue, each 4" x 6" in pencil. 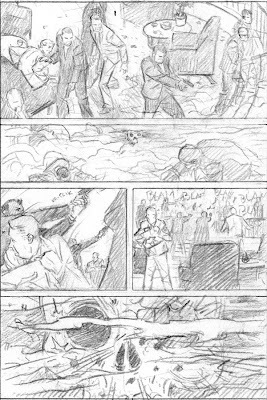 For the remainder of the issue, I did very rough thumbnails directly on the script, then jumped right into penciling. You can see some of the finished pages at Splash Page Art. Wow, you've very informed layouts. Interesting. I hope you don't mind me saying so, but i actually much prefer your inked work to your painted work. I just prefer an ink-line myself, but there seems to be more character in the work you ink rather than paint. Maybe because you're not labouring over the pages as much. You Spidey/Wolvie story looked fantastic and would be my favourite work of uours to date. Colours were great too. Okay, i've ranted on enough now. Hey, we met at comic-con and you signed my 577. 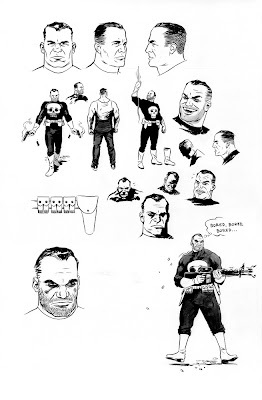 The way you draw Punisher is right up there with John Buscema. You just make him look like such a tired, angry, jerk which is how i envision the character. This is really cool to see. top notch work! thx for sharing! Yeah I've noticed that sometimes too much preparation work can slow down the overall story. 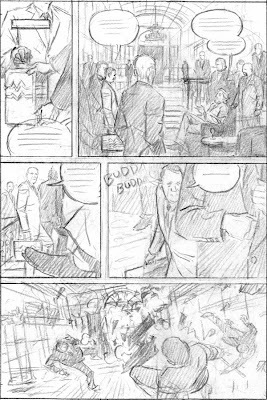 I tend to try and give myself a few layouts per page but have noticed that usually my first layout tends to be my best. Lately I've been doing the same thing by drawing directly on the board and usually only laying out the more complicated scenes. It's just a faster way of working and usually adds more energy to the pages themselves. 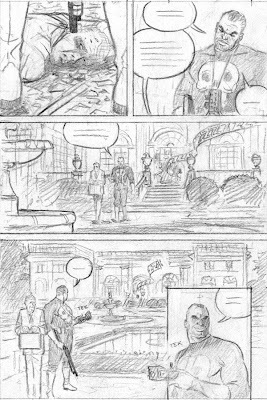 I know of other artists who always throw out their first layout and continue to spend too much time reworking a layout that they probably got right the first time.